or you can create your own, at a website like Zazzle, Winkflash, Moo, http://wcp-nm.com, etc. I used winkflash.com, and especially zazzle.com. Creating your own cards is an interesting idea and I have tried a few myself. Though I wonder how these would be considered in exhibitions. Does anyone have ideas about this? This issue does not seem to be directly addressed in the FIP Commission for Maximaphily's "Special Regulations for the Evaluation of Maximaphily Exhibits". This official document describes the accepted shape and size of postcards, the need for concordance, and several other factors in the postcard's appearance. However, there is one line in this document that may have relevance for self-created postcards. The document states that "the postcards on the market must be accepted as they are". Does this sentence indirectly mean that only cards from the "market" are acceptable? It seems to be open to interpretation. I definitely would not use a "home-made" card in an exhibit, but I proudly have several in my collection! I have solved this problem long ago, independent of Yuri Kardashenko ("Tangorn"), for example, who apparently solved it even before me. Others may have solved it even before. FIP rules want a postcard to "have been commercially available" prior to the issuing of the stamp, in general. There are some fine points here, including about postal administrations that should NOT create postcards just for the issuing of their official maximum cards. See that tigers postcard in my first post here? Technically, it is not self-made or self-printed, because Zazzle manufactured it. It is not home-made, because Zazzle made it at their HQ in California. It is designed by me either from home, or from any other location with Internet access--from wherever in the world I choose to design it. IT WAS COMMERCIALLY AVAILABLE before I used it to create a maximum card. IT IS and it will still be available, as long as Zazzle stays in business, with the current policies. Yuri told me that he tries to sell at least one such custom postcard before creating a maximum card. I told him that he doesn't have to! It's sufficient to post it for sale, like on Zazzle's website (virtually), and that makes it "commercially available". 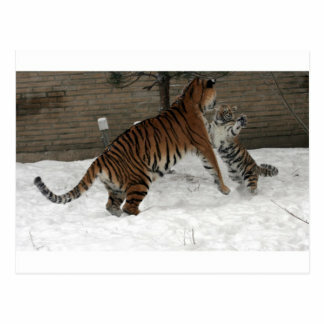 Anybody can buy, for example, my tigers postcard "as is on the marketplace" (unless you want to further customize it). Buy it, to believe it! Once you buy it, it will become absolutely clear to you that you just bought a "commercial postcard", totally FIP-compliant, available online for ANY buyer! First you buy it, then you use it to create your maximum card, once your stamp is issued.